Essential oils seem to hold a cure for most issues we face. Dry skin? Try essential oils. Aging? Essential oils. In a bad mood? Essential oils. The multiple uses of these wonder oils leave many people scrambling to decide what oil is best for what results. There are several oils that can be used for multiple things—including mental health. Mental health, of course, should be treated with therapy and alternative ways, with essential oils acting as an additional supplement. Here are the oils that can potentially provide mental health results. Bergamot oil has an extremely pleasant scent, which is why it is popular in the essential oil world. It also contains properties that stimulate and increase blood circulation. This oil simulates feelings of joy and relaxation that can help those of you struggling with mood or depression. A study done in 2011 found that it lowered anxiety in most users. This is a great scent to use for aromatherapy in a common room. It will make you feel relaxed and energized at the same time. If you want comfort, try using Bergamot to supplement your mental health routine. Chamomile is great for those of you struggling with insomnia and anxiety. The scent is extremely calming and great for winding down after a stressful day. There is a reason chamomile tea is so popular. Check out some chamomile aromatherapy techniques to use in your bedroom. This scent will help you wind down and come to peace with yourself at the end of a long day. Lavender oil can help with anxiety and depression. This is one of the most popular essential oils because of its effectiveness in calming. Lavender smells amazing and helps calm nerves. Lavender also helps with insomnia and meditation. Try using lavender oil as a lotion or through aromatherapy. Bergamot isn’t the only oil used for depression—rose oil also can help. Your best bet is to try out all the oils that help with depression and see which one works for you. They all have different smells and vibes, so it might take some trial and error to find your favorite. Bulgarian rose oil happens to smell amazing, so there is a good chance this is one you will like. Clary Sage oil is known for its effects that make you feel clearer and grounded. This one is popular because of its benefits. Its name even stems from the latin word “clarus,” which means clear. This is a good oil to lift your mood and help you feel more content with your day. It has been know to clear away any clouding of the mind or emotions. Try putting some of the oil in your bath water for great results. Essential oils can do wonders for some people struggling with mental health. Any supplement that helps with mental health issues is worth trying. 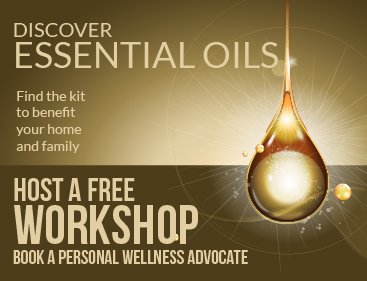 Think of essential oils as vitamins or supplements to give you the boost and groundwork you need to feel your best. These are all great oils worth trying! Once again, essential oils aren’t a cure-all for mental health—they are merely supplemental. Mental health is serious and you should take action to make yours the best it can be.